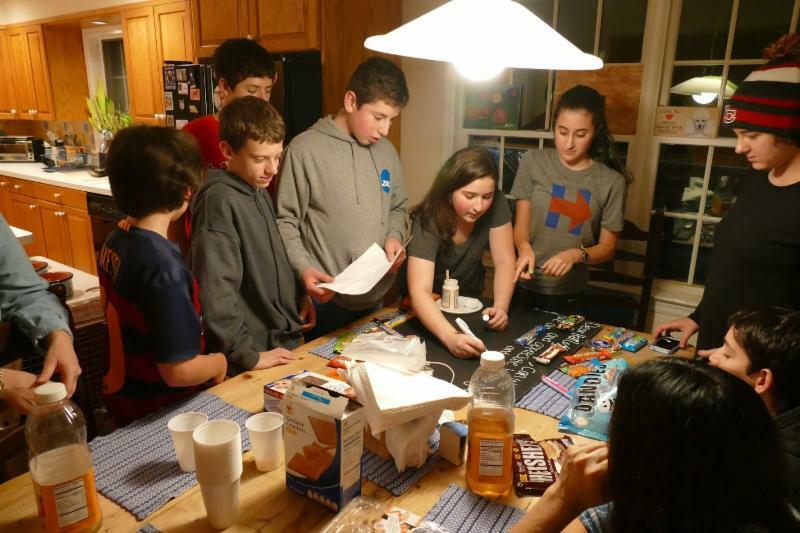 TBE's 8th grade youth group at a recent get-together at my home, led by Mara and Lisa Gittelman-Udi. See our full fall album, with lots of photos from the past several weeks. Feeling nervous about the upcoming week? Can't imagine why. Join us tonight and unwind. We'll take a deep breath and reconnect with our most human side, as we celebrate Shabbat together. Then, join us tomorrow morning, when Josh Sherman becomes bar mitzvah. The portion of Noah, when humanity consumed by violence, is a great time to focus on how we can combat meanness and bullying in our society. Click here for the parsha packet and discussion guide. next Thursday, join us at 7:30 for Larry Cohler-Esses presentation on his exclusive look inside Iran. See the flyer at the bottom. It is of obvious urgency that everyone fulfills the mitzvah of voting. Click here to see four reasons why voting is indeed a Jewish mitzvah. As Jews, we understand how sacred is the opportunity to participate in the democratic selection of leaders, a right we did not have for so long and in so many places. It is not only important that we vote, but that we get our neighbors to vote, and all our relatives (including - and some might say especially - our dear relatives living out their golden years in places like Florida, North Carolina and Arizona). Curiously, among those Jews most active in securing the sacred right to vote was Gertrude Weil, who, despite coming from a wealthy, privileged family, became a lifelong advocate for voting rights. Her views were radical for the conservative south and were possibly influenced by the lynching of Leo Frank in Georgia in 1913 and the rise of the KKK. She was a leader of the North Carolina Equal Suffrage League beginning in 1915 and a crusader for election reform. Read about how Weil's passion for equality and justice was inspired by Jewish teachings. Challenging the racism and sexism that was so pervasive in her state, she stated, "It is so obvious that to treat people equally is the right thing to do." Jews have played an outsized role in the implementation and defense of the right to vote. 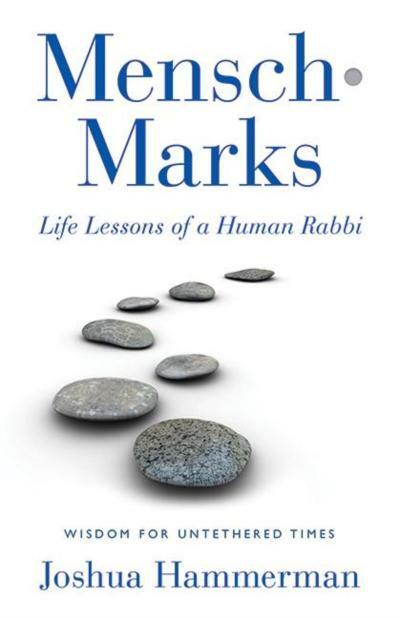 Over the summer, a number of rabbis spent time in Weil's home state working toward that end. Sadly, we've discovered that voters suppression based on race is hardly a relic of the past, in North Carolina especially. To quote a new article in Esquire, "It is real and it is horrifying." Let's hope that when the dust settles on Tuesday evening, everyone eligible to vote will have the chance to do just that, and without impediment. Gertrude Weil died in her home in 1971. She remains a hero and role model for us all - and an inspiration for us to continue her work, to protect the weak and defenseless, and eliminate the corruption and racism that still exists near her home. Because her home is our home. Help us to recognize the gift of our vibrant and open democracy and the responsibility to nurture it. May we discern Your Divine presence and amplify Your teachings through our actions and commitments. Remind us of the goodness and diversity of the United States of America. May we strive to care about those with whom we disagree as dearly as we care about our own ideals. Guide our hands to reach out to one another, certain in the truth that what unites us is greater than anything that divides us. May you grace us with knowledge, understanding and discernment. Meanwhile, a serious incident occurred at the Western Wall this week, one that might mark a historical turning point in the decades-long struggle to achieve equal rights for women and the progressive Jewish streams at Judaism's holiest site. See the Rabbinical Assembly letter below, and read press coverage of the incident: JPost / Times of Israel / Ha'aretz. This morning, while marching with Torah scrolls from the Dung Gate in the Old City in Jerusalem to the Kotel, Conservative and Reform leaders were attacked by members of the ultra-Orthodox community. The United Synagogue of Conservative Judaism and the Rabbinical Assembly condemn all those who would use physical force to prevent us and other egalitarian Jews from praying at the Kotel according to our custom. The behavior witnessed today by those who would use physical force has no place in a civil society, nor any context in Jewish values. For years, we have worked diligently with the Israeli government to find a solution to make the Kotel a place of Jewish unity rather than Jewish discord. We rejoiced when an agreement to create a permanent space for pluralistic and egalitarian prayer at the Kotel was finally reached in January 2016. Ten months later, there is still no movement toward implementation. The issue of the Kotel and religious pluralism in Israel is of primary concern to Diaspora Jews from around the world. Yesterday, at a special plenary session of the Knesset, Jewish Agency Chairman Natan Sharansky cautioned, "We are saying to our people 'give us time, be quiet' - but while we are patient, time is running out." He added that "while Jews around the world are fighting day and night against the de-legitimization of Israel, they find that they are themselves delegitimized by some people in this house." Israel is our homeland and all Jews have the right to pray at the Kotel. We will continue to exercise this right and demand that the Kotel agreement be implemented as promised.